The gphoto2 suite of drivers and apps allows a huge list of DSLR cameras to function as image or video capture devices inside Linux. There's a compatibility list at the gphoto site, and even if your camera isn't listed, it's likely you'll be able to use it in some manner. For example, my Nikon Coolpix P610 isn't officially supported, but I'm able to get some images from it regardless. 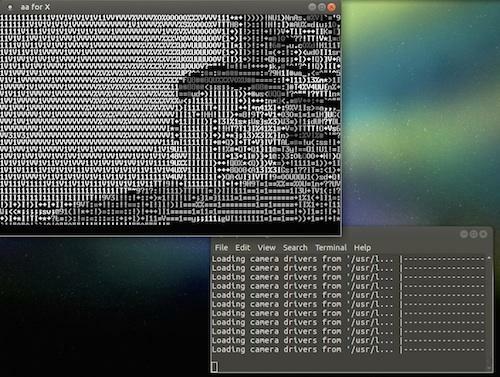 In fact, it even supports previewing a photo in ASCII art. That might not be a useful feature, but I found it incredibly fun to play with. In all reality, if you want to automate taking pictures while using a real DSLR camera, gphoto2 is probably the tool you want. Whether it's a short-term setup on a tripod or a future super-high-def BirdCam (send me a link! ), be sure to check it out. And if I can get my wife to loan me her Canon DSLR with the 50mm prime lens, BirdCam might rise to a whole new level!